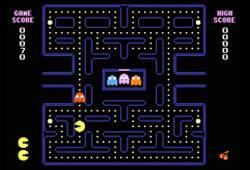 Step back in time and get your game on playing video game classics like PacMan, Donkey Kong, Space Invaders and Frogger! Those vintage arcade machines are a dying breed… So thank goodness we’ve resurrected 60 of your favourite classics inside this cocktail table style retro arcade games machine! Add that retro feel to your home, bar, pub with this classic arcade games machine! As long as you order by 2pm on any working day and live in mainland UK (excluding Scottish Highlands) you could have one of these cocktail table games machines the next working day!